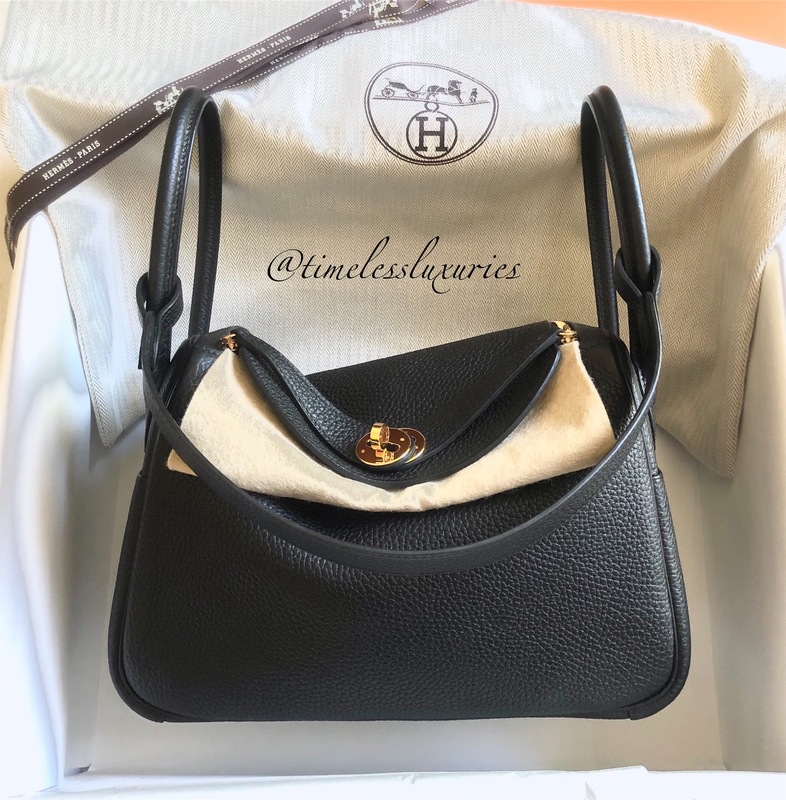 HERMES Lindy 26 Taurillon Clemence in Noir (Black) with Gold Hardware. Features swivel and zip closure, external flat side pockets, protective bottom feet, zip fastening and shoulder strap. Notes: This bag was barely carried, in pristine like new condition. No marks, no scratches inside and out. Hardware is almost without any scratches at all. Current retail is US$7550 plus tax. Copy of receipt is available on request. Purchased in September 2018.